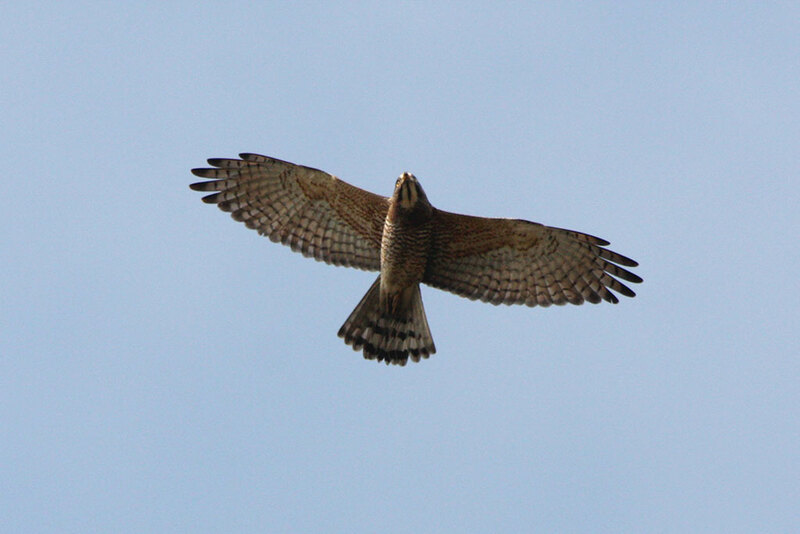 On March 6, the first flock of migratory grey-faced buzzard flew pass Mt. Bagua, marking the beginning of this year’s Mt. Bagua eagle watching event. The migration peak of grey-faced buzzard is expected to occur during the week of March 16. Do mark your calendar for a “Free Buzzard in Mt. Bagua” in-depth ecological tour to catch this ecological wonder. The grey-faced buzzards which travel northwards from their wintering grounds passing over Mt. Bagua, are also known as the “Southern Eagles” or “Qingming Birds” by people in the central region. “Free Buzzard in Mt. Bagua” event is into its 27th year, dedicated in protecting the migratory grey-faced buzzards crossing Mt. Bagua region. The event’s name suggests the grey-faced buzzards flying pass the mountains of Bagua. Through ecological tour, environmental education, Satoyama living, eco-friendly farming, and local culture and creativity, it propagates green economy which gives rise to ecological diversity and good health, forming a unique culture of Mt. Bagua region. “Free Buzzard in Mt. Bagua” eagle watching event is an annual grand event of the country, and is also an international event of “Taiwan Tourism Events”. 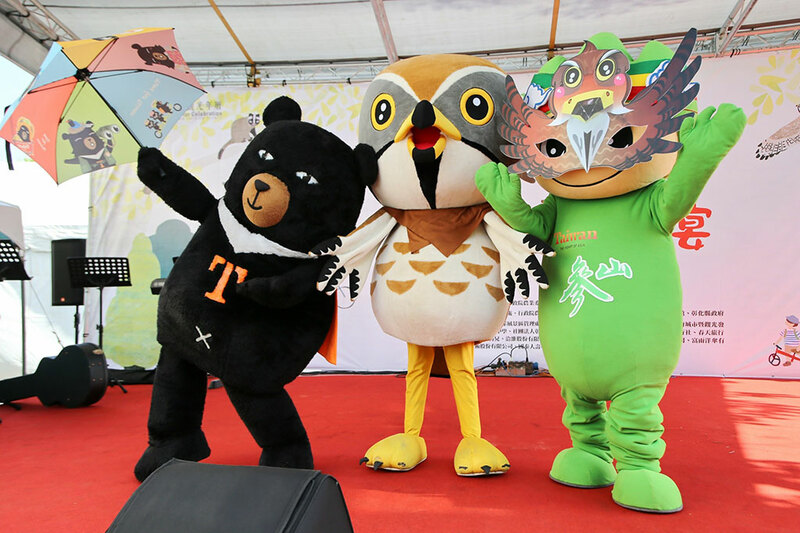 The theme of this year’s event is “fun ecological learning tour”, co-host by Tri-Mountain National Scenic Area Administration of the Tourism Bureau of MOTC, Changhua County Government, Nantou Forest District Office of the Forestry Bureau of the Council of Agriculture, and National Changhua Living Art Center. The activities, which are organized by the Chinese Wild Bird Federation, will be held on March 16 (Saturday) and March 17 (Sunday), 10 am to 5 pm, at Baguashan Ecological Visitor Center. The public are encouraged to make use of low-carbon transportation such as public transport and free shuttle bus to show their love for the ecology and enjoy the forest. The opening ceremony on March 16 at 10 am will have performance by “Pan Flute” orchestra and solo by student Lian Yu-Qi, who came in first in 2018 International Pan Flute Competition. The Wanted, who came in first in Voice Jam 2016, an a cappella competition held in the United States, will be performing at the 1:30 pm “Eagle Concert”, together with world-class National Taiwan Symphony Orchestra, as well as Music Class from Changhua Arts High School, who came in top in national competitions. Visitors can enjoy the natural ecosystem and local culture while immersing in the songs of eagles. In line with MOTC 2019 Small Town Ramble, the event will be cooperating with LUKO Changhua Travel Library in launching 6 humanities tours at Mt. Bagua. Stores in Changhua city will be launching limited edition products and discounts to promote the event. Fantasy Tours and Win Tour will be organizing local tours such as the 1-day “family ecological tour” and bird watching tours such as “Daxueshan x Guguan Hot Spring and Bird Watching” and “Changhua’s Free Buzzard in Mt. Bagua in March”, etc., where local and overseas bird watchers can experience the rich and diverse Mt. Bagua’s ecology. There will also be environmental education tours at Bagua Mountain Ecosystems Visitor Center targeting at junior high and elementary school students during the event. Through the AR and VR environmental education facilities in the Grey-Faced Buzzard Pavilion, students can learn about the ecological habit of the migratory grey-faced buzzards in a fun way. The two-day event also includes a cultural bazaar, participated by 12 members from Changhua County and Mt. Bagua region’s cultural industries, promoting cultural products and tourism. Participants are also given complimentary DIY coupons. Tri-Mountain National Scenic Area Administration organizes DIY activities and gives away AR postcard for those who share in the social media. Temporary letter box and post office are also set up by Changhua Post Office, and the event’s stamps and first-day cover are also available, making postcard collection even more memorable. On March 16 and 17, there will be grey-faced buzzards watching activities and scheduled guided ecology tours at Mt. Bagua’s Raptors Observation Platform. Various stores are lined along the eagle watching route, including ecological experience games, where adults and children can learn about the concept and knowledge of ecological conservation in a relaxed and fun way. Organizations supporting the Satoyama Initiative are invited to set up a cultural bazaar, where they make use of the most natural and eco-friendly materials for the public to enjoy the delicacies and various cultural products without worries. From March 21 to April 7, Exhibition Hall 3 of the National Changhua Living Art Center will be exhibiting interesting wild bird paper-cuttings by international paper-cutting artist, Mr. Chen-wen Wang. Besides the events in Mt. Bagua region, Tri-Mountain National Scenic Area will also be cooperating with North Coast & Guanyinshan National Scenic Area Administration, in organizing the “Eagle watching at Mt. Guanyin” event from April to May. A hundred limited edition OhBear neck pillows will be given to participants who upload a photo with the steel sculpture, check-in and like, the “Dual Eagle Check-in” event. Visitors can also take part in the “Fun Travel Study” stamp collecting activity and stand a chance to win the event’s bags and coin purses. Visit Mt. Bagua with your family and take part in the rich ecological tour. The event’s details are available at https://www.trimt-nsa.gov.tw/Web/Website/Ecological/Ecological03.htm.